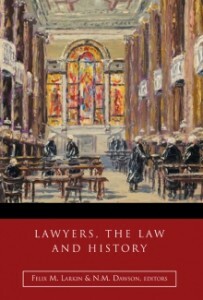 Our 2013 volume Lawyers, the Law and History, edited by Felix M Larkin and Norma Dawson, has recently received favourable reviews in both the James Joyce Quarterly (‘superbly edited’) and the Law Quarterly Review (‘well-researched’). 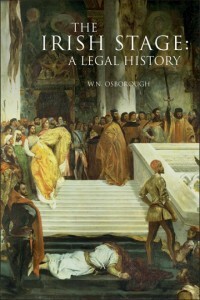 Please click here to find out more and purchase your copy. W.N. 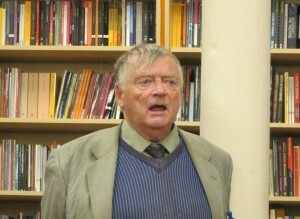 Os borough’s The Irish Stage: A Legal History (Four Courts Press 2015) was successfully launched by Judge Bryan MacMahon at Books Upstairs, Dublin, on Thursday 8 October. 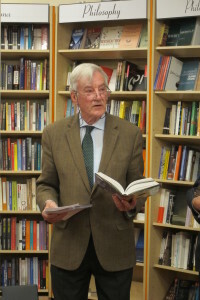 Judge MacMahon is a former judge of the High Court and Chairman of the Board of the Abbey Theatre, and spoke enthusiastically about the book. 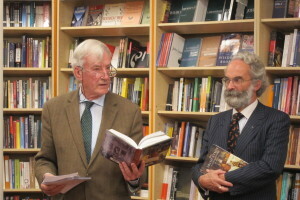 The l aunch was well-attended by members of the Society and others with an interest in law, literature and theatre, and Books Upstairs provided a marvellous venue. The Attorney general for Northern Ireland, John Larkin QC, presented a lecture entitled ‘The rise and fall of the Irish Manor Courts 1785-1859’ on Thursday 17 September 2015, at the Public Record Office of Northern Ireland. Further details about the event may be found here.